Amy is a graduate of Centre College and started her career in the Thoroughbred industry in the accounting and equine insurance divisions of Hopewell Farm. Amy lives in Versailles with her husband, Bill, and their children. Heather, originally from Western New York, grew up around show horses, which is where she developed her passion for horses. Heather was awarded a riding scholarship to Midway College and went on to graduate with a Bachelor’s degree in Organizational Management with a concentration in Equine Management. During that time she broke yearlings and galloped racehorses for Jonabell, Saxony, Walmac International, Brookside, and Pin Oak Farms, which gave her the opportunity to move up as an Assistant Trainer for Evergreen Farms. Heather was also the Barn Manager and Instructor for the North American Racing Academy for five years before she went on to work with Todd Pletcher in 2010. She then went on to become Michelle Nihei’s Assistant Trainer at Keeneland and Belmont Park before starting at WinStar in 2012. 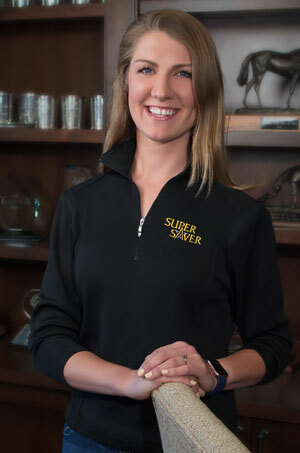 Heather served as the Assistant Trainer here at WinStar for four years before taking on her current position as the Assistant to the General Manager, while assisting the Bloodstock team and taking on the duties as StableMates Coordinator. Collectively, Heather brings over 20 years of experience in the Thoroughbred industry to WinStar. Ronda began her career in the Thoroughbred industry at Three Chimneys Farm. While there, she had the opportunity to try her hand at a variety of different responsibilities from mucking stalls to pedigree research. Later working at Waterford Farm and Bluegrass Bloodstock, she gained experience in equine insurance, computer administration and farm office operations. Ronda is a native of Virginia and a graduate of Midway College's Equine Management Program. 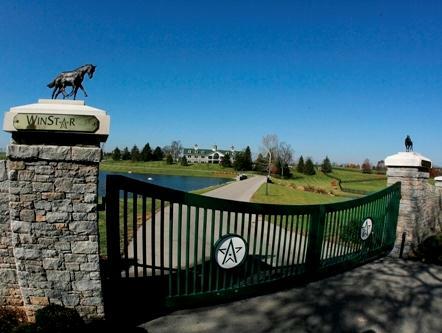 She has resided in the Bluegrass since 1990. "Working at WinStar has been exciting and has provided many new opportunities and learning experiences. I look forward to what the future brings here at WinStar." Originally from Punta Gorda, Florida, Leah’s love of horses started at a young age in the hunter ring and quickly developed into a passion for Thoroughbred racing. In 2008, she moved to Kentucky to attend the University of Kentucky and majored in Equine Science and Management. Since then, she has worked in various jobs in the local racing industry. Leah came to WinStar in early 2011 as an intern and was hired later that year. She spends her free time riding and showing her off-the-track Thoroughbred. Michael, a native of Lexington, KY, grew up at Marula Park Stud, LLC, a small commercial breeding operation. Michael attended Transylvania University where he received a Bachelor's degree in Accounting. During his college career, Michael gained industry experience by completing an Accounting internship at Fasig-Tipton, which sparked his interest in the thoroughbred industry. Michael enjoys spending his free time on the golf course and playing his banjo. Michael: "WinStar is the perfect place for the start of my career. I love the industry and am eager to learn from all the bright minds here." Molly grew up barrel racing in Ohio. She attended Colorado State University to obtain her degree in Equine Sciences. She has enjoyed several positions on Kentucky farms from working with stallions at Gainsborough to serving as the Equine Administrator for Adena Springs. Molly and her husband Jim have owned and been the breeders of several stakes horses, most notably, G1 winner Dream Rush. Molly has two children and when not at work she enjoys their activities, Bible Study, and training and showing dogs. She is excited to be at WinStar and her goal is as it has always been; to never lose appreciation for the beauty of the Thoroughbred. A native of Wisconsin, Ashley came to Kentucky in 2000 as an intern in the KEMI program, working at Lane's End Oak Tree Division. After her internship was completed, Ashley went to school at Midway College and earned two degrees in Equine Management and Equine Therapy with a minor in business. Since graduation, Ashley has worked in several areas of the Thoroughbred industry including veterinary technician for Hagyard Equine Medical Institute's internal medicine division, vet assistant to Dr. Luke Fallon, and barn foreman in yearlings and broodmares for Bluewater Farm and Fawn Leap Farm. Ashley has been with WinStar since 2006. Originally from Wannaska, Minnesota, Brittney’s love of horses started very early in life. She began her career in the Quarter Horse industry but all along dreamed of a career with Thoroughbreds. She graduated from the University of Minnesota with degrees in Equine Science and Agricultural Business. While in school she was given a chance to take part in the Kentucky Equine Management Internship, which gave her the opportunity to work the 2009 sales season for Royal Oak Farm in Paris, KY. 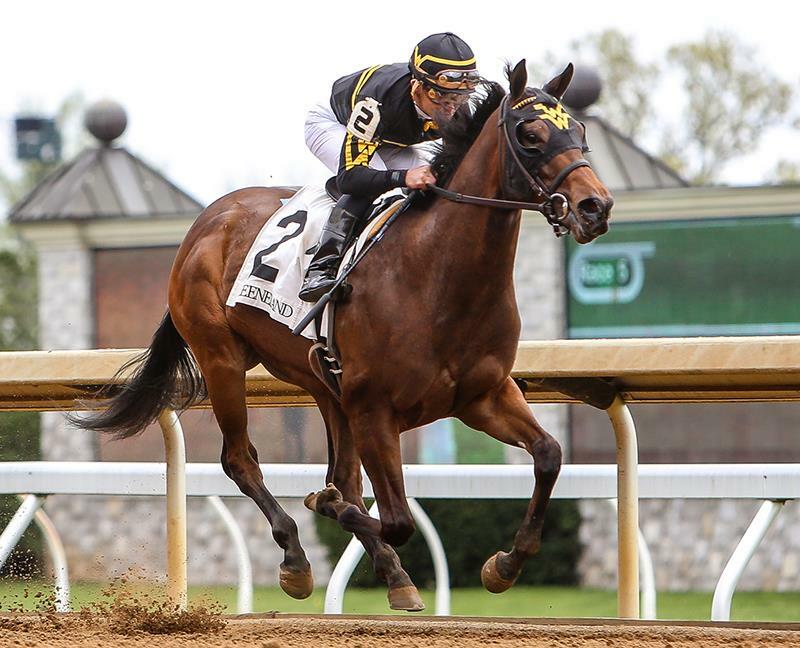 Upon graduation she came back to the KEMI program which ultimately led her to WinStar Farm for the 2013 breeding season. After completing her internship she was hired by the WinStar yearling division where she participated in sales prep as well as breaking and training. She is thankful for all the amazing opportunities WinStar has already given her and is looking forward to what the future has to offer. Born into a family of horsemen, Katie was introduced to horses at a young age, competing in the eventers and jumpers through Pony Club and 4-H. After attending Western Kentucky University, she began her career at Rood & Riddle Equine Hospital, and has continued to work as a veterinary and laboratory technician at many of the top equine medical centers in Central Kentucky. 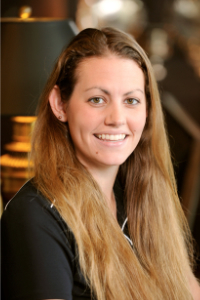 Katie accepted her current position at WinStar in December 2014. In her down time Katie enjoys riding her OTTB Thunder Thrill, which she adopted from WinStar. Client Relations & Equine Operations Asst. I Have spent most of my life in the horse industry and have a true love and passion for the animal. That passion led me to the racetrack when I was 19, since that time, I have worked in various positions from groom, exercise rider and assistant trainer. In addition to that I have worked extensively in the sales side of the industry ranging from weanlings to horses of racing age, including sales prep, showing and shortlisting. For the last 5 years I have been working with my husband to develop Troy Wismer Racing Stables LLC. I am originally from London Ontario Canada but now live in Versailles with my husband and two children. Raised in Southern Illinois, Casey comes from a Thoroughbred Racing Family. Her parents, both grandfathers, an aunt and an uncle were trainers. Casey has been surrounded by Thoroughbred horses all of her life. Her prized 4-H project as a child was an off the track Thoroughbred. She continues to enjoy riding OTTB’s for pleasure. Casey graduated from Murray State University with a Bachelor of Science Degree in Agriculture with an emphasis in Equine Science. After graduation, Casey was awarded an internship at Gumz Farms, a leading Quarter Horse Breeding Farm in Western Kentucky. She says this is where her interest in the Reproduction side of the industry was sparked. After completing her internship, she relocated to Lexington, KY where she worked at Equine Medical Associates and was then moved to Hill N Dale Farm as the Resident Vet Tech. She furthered her knowledge in Endocrinology at BET Reproduction Lab before coming to Winstar Farm. Originally from Ontario, Canada, Brittany has been around horses since the day she could walk; starting in show horses and working her way to thoroughbreds. From high school to college, Brittany got her taste for the thoroughbreds by working at a top level farm in Canada before apprenticing at Woodbine as a farrier. After accepting a soccer scholarship, Brittany moved to Midway College known now as Midway University, in Midway, KY, graduating with B.S. in Equine Studies with concentration in health and rehabilitation as well as two minors in Chemistry and Biology. During her studies, Brittany immersed herself in everything thoroughbreds in Lexington area. She spent two seasons working at Rood and Riddle Equine Hospital, worked the sales for Brookdale and as a Vet Tech for Dr. Joe Lyman. After graduation, Brittany tried exercise riding in Ontario for a year before accepting Assistant Manager position at Dell Ridge farm in Lexington KY. Most recently, Brittany moved back with husband to Lexington from Sequel New York as farm manager for Becky Thomas. Brittany and husband Ryan with their two dogs look forward to starting their new beginning. Diana is a native of Lexington. She attended Western Kentucky University where she majored in business. She earned a Bachelor’s Degree in Religious Education and has her Master’s Degree and License in Counseling from Andersonville Theological Seminary. She has worked as an Administrative Assistant to Lexington mayor’s Foster Pettit and Jim Amato, the Director of Heritage Hall at Rupp Arena, and UK Sports Information Director Russell Rice. Diana has also held positions as a dental assistant, legal assistant, aquatic teacher and therapist and as a liaison for Scott Co. Schools Family Resource Center. 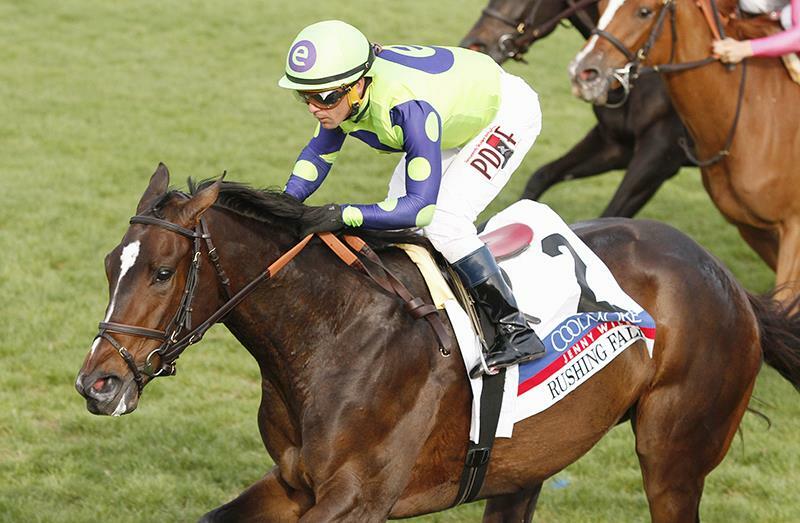 Even though she's had a variety of interesting jobs, Diana counts WinStar Farm at the top. She feels blessed she can be a part of the WinStar team during the day and do counseling at night. Diana says the favorite part of her job is being the first person at WinStar to greet people by phone or coming in the office. Her son Drew says the best benefit of her job is being within walking distance of Tiznow.